One of the writer's longest relationships is about to break up. The writer is a Spokesperson and Communications Consultant at "Blumberg Communication" and has a BA from Sapir College Marketing Communication Department. Eight years ago I published an article called "Always connected - Always" about a Web site gaining momentum. 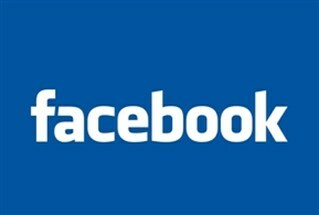 In those days, "Facebook" began its takeover of the network users in the United States. Slowly it also penetrated Israel and hid the old social network around here below the surface. Reliable sources say that in those years, Mark Zuckerberg's site "Facebook" was in its initial stages, but today, in 2014 Facebook is a center of life for millions of users worldwide. There is no doubt; Facebook is everywhere and at any time for its users. This website is like our best friend or life partner, we actually develop a relationship with the site's blue logo which is in every possible place. I tried to remember the day I started my relationship with Facebook. I found that there was a really logical reason for my introduction to Facebook in 2007. It began in 2006 when I traveled to Hungary. I was a part of a Jewish summer camp in a small town near Budapest. Young Jews gathered from around the world to spend a few weeks with each other. The American group at camp recommended a website called "Facebook". At the end of my stay I returned home and the site helped me keep in touch with friends from other countries, Facebook helps us create and keep a social circle created just for ourselves. Thus, I had friends on Facebook from different countries, including America, some friends from Hungary, Russia and Holland. Also at other stages in life like army and College, Facebook was with me and for me. It helped me keep in touch with the wider social circles and always be updated online on the feats of my friends everywhere. It is really a great relationship for all of us. Today I wonder if Facebook is really necessary in our lives, whether we can do without it. We should, however, admit the truth; the site includes a lot of good features. And in my opinion Facebook its brilliant invention, and one of my longest relationships in life. On the other hand, if we can be realistic for a moment, most of us do not even talk to most of the people on our friends list. Indeed, we were in touch with all our friends on Facebook at some point in life, but time makes a difference, and social ties lose their initial charm. So why should I and other millions of Facebook users have the desire to know everything about everybody, why should we want to be involved in the new updates and pictures of other people called our "friends". Recently I considered breaking up from my Facebook account, but I think a total disengagement from the site will be too difficult. Someone told me that he thinks that in our era breaking up from Facebook is one of the most difficult break ups that can happen to a human being. Why don't you try and then you will understand me - or not.